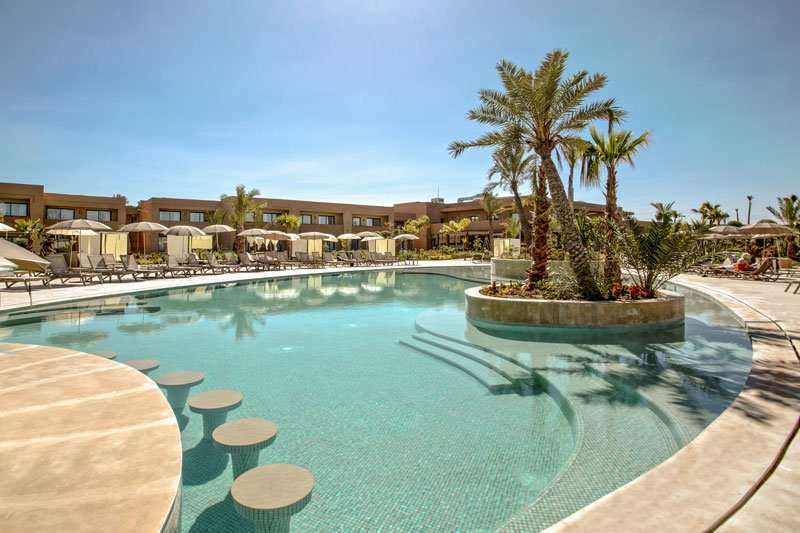 The new 5* Be Live Collection Marrakech is an excellent adults only all-inclusive hotel located in the golfing centre of Marrakech. 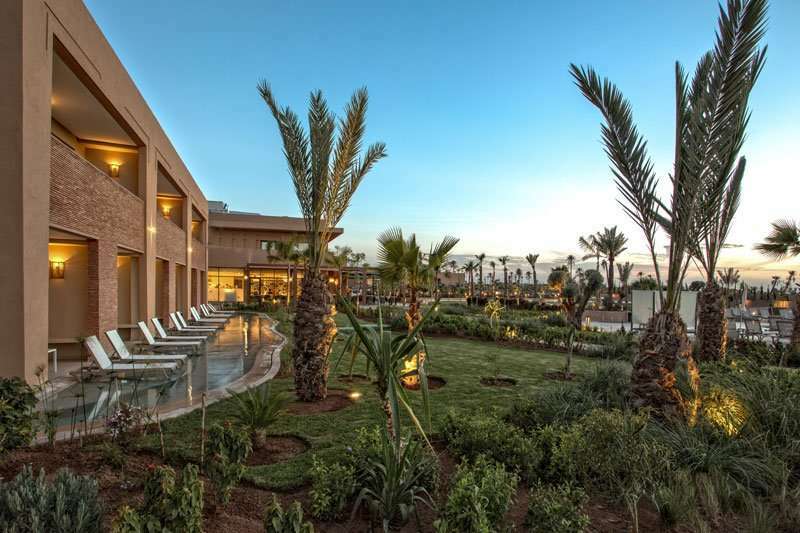 Situated in the prime position of Palmeraie, the hotel is within short proximity to a number of world class courses, whilst being 4 miles away from the centre of Marrakech. 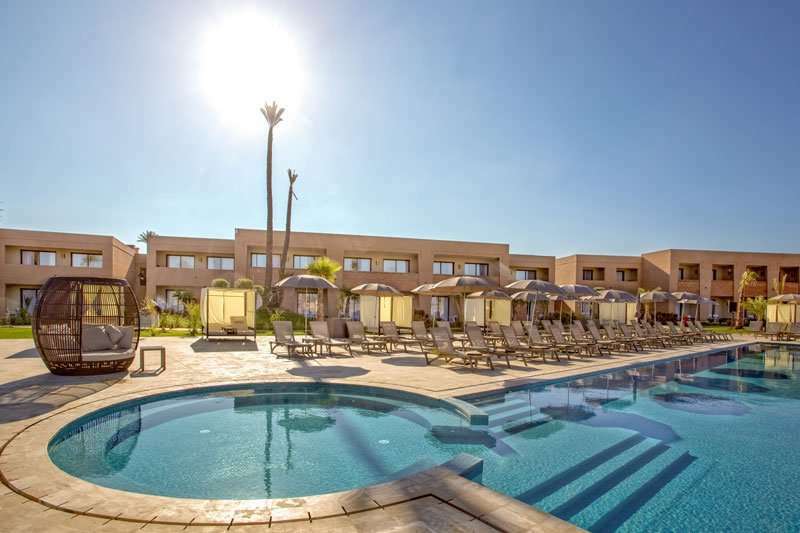 The hotels boasts a spectacular poolside setting and wonderful landscaped gardens providing a real sense of exclusivity and relaxation. 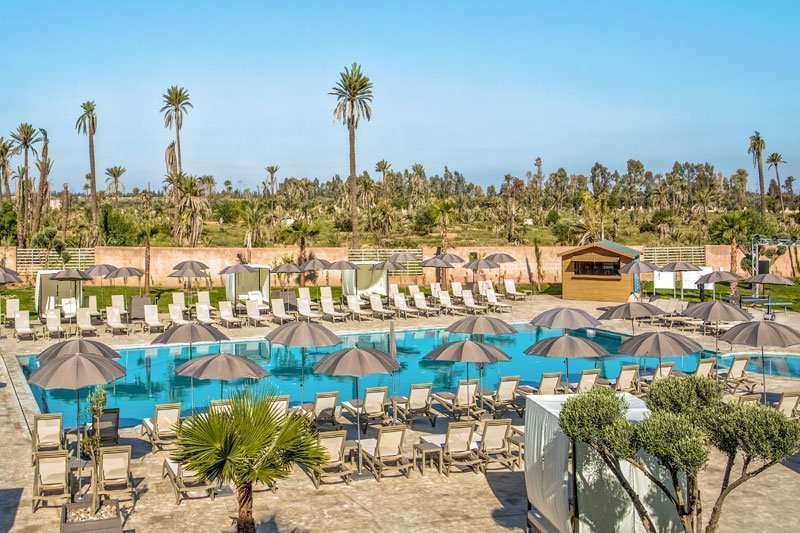 The resort is a stylish new build and offers two outdoor swimming pools, one main pool and one chill-out pool plus state of the art spa facilities to ensure you completely relax after experiencing the challenging courses and vibrant city of Marrakech. 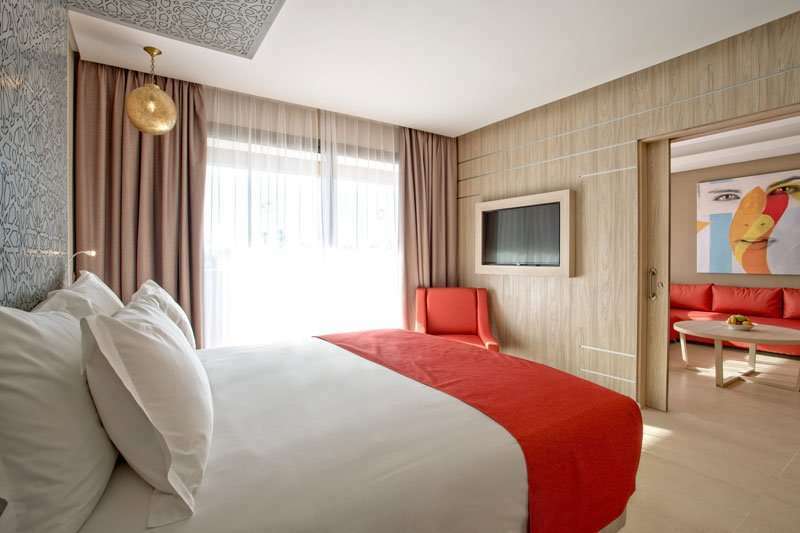 Each of the spacious rooms have been fitted with all the luxurious amenities for a comfortable stay and a modern décor to suit. 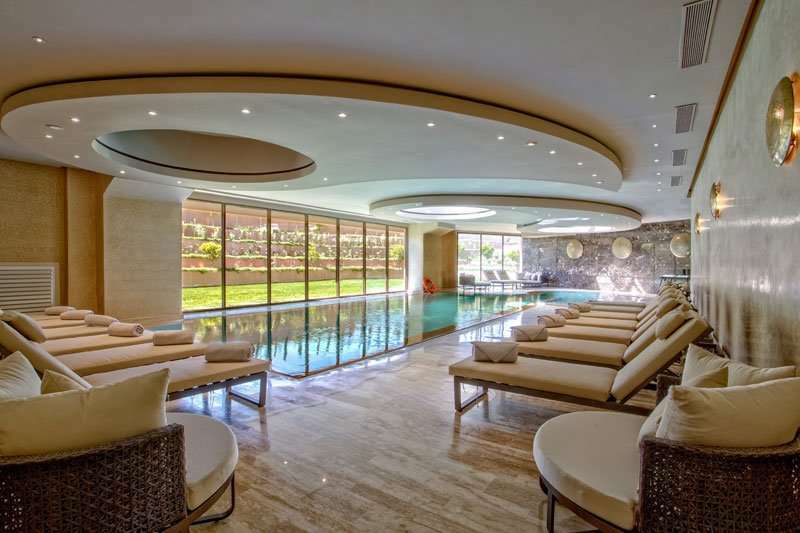 Guests have the chance to upgrade to the stunning pool view rooms or even swim up rooms for your luxurious Marrakech holiday. 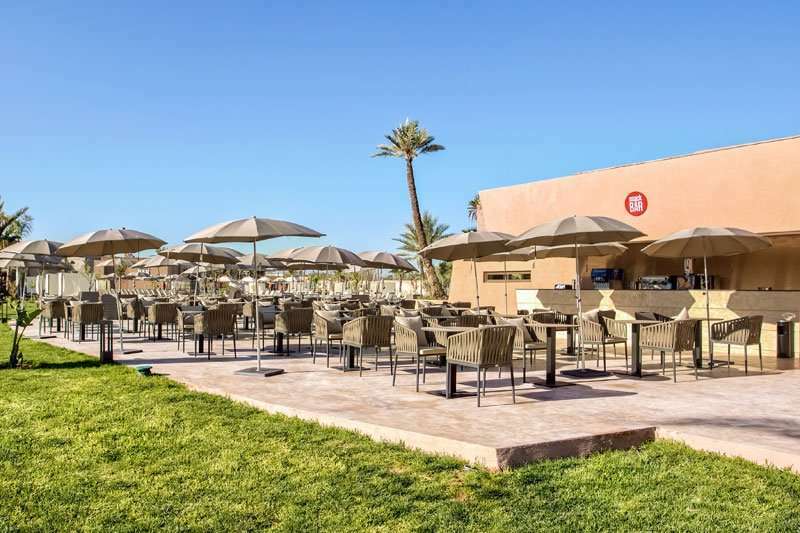 The comprehensive all-inclusive package here gives you access to the majority of facilities and services at the Be Live Marrakech so you can indulge in the range of sports facilities and buffet restaurants, giving you plenty of choice for your evening meal. 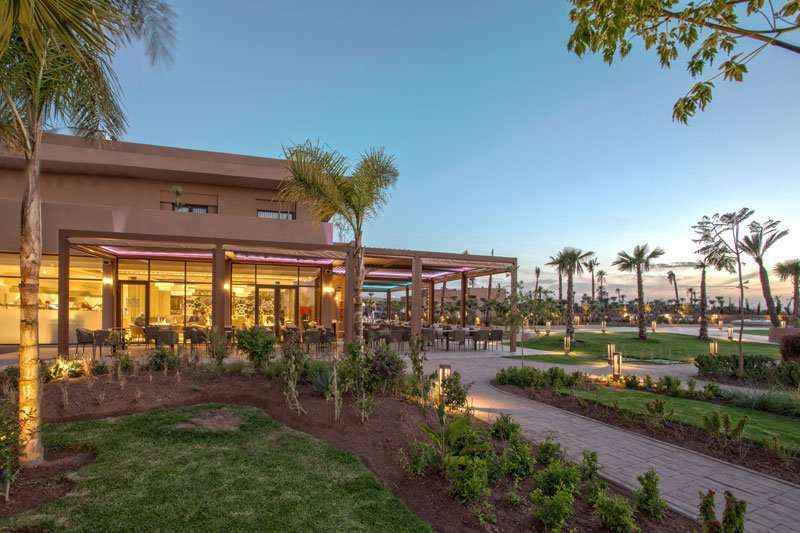 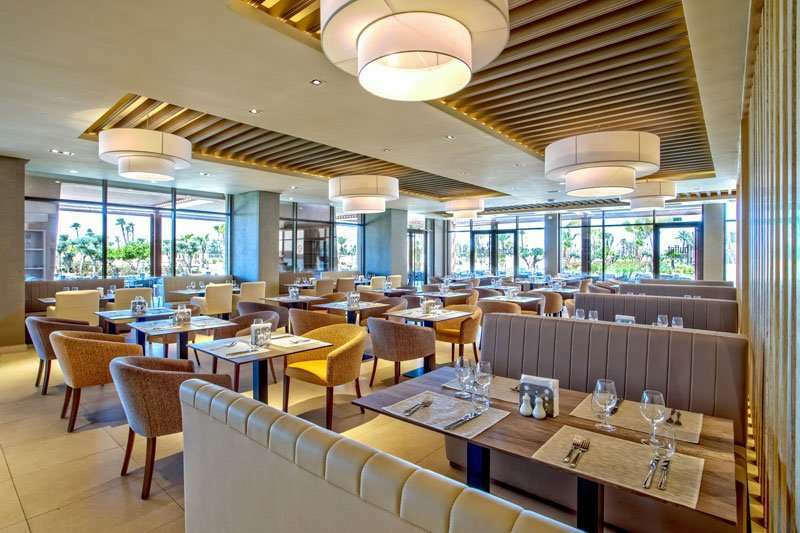 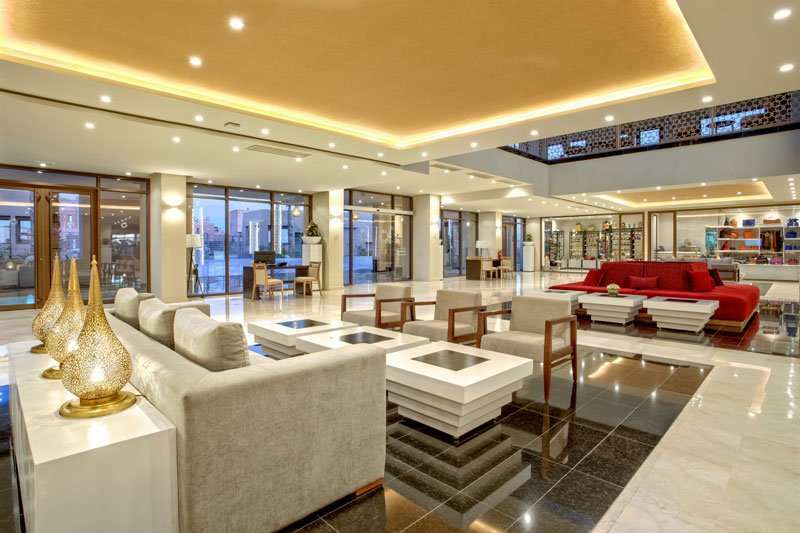 The hotel has a choice of three superb restaurants including a traditional Moroccan restaurant serving up local flavours from the region, an international buffet with all the usual favourites and a snack bar for light bites. 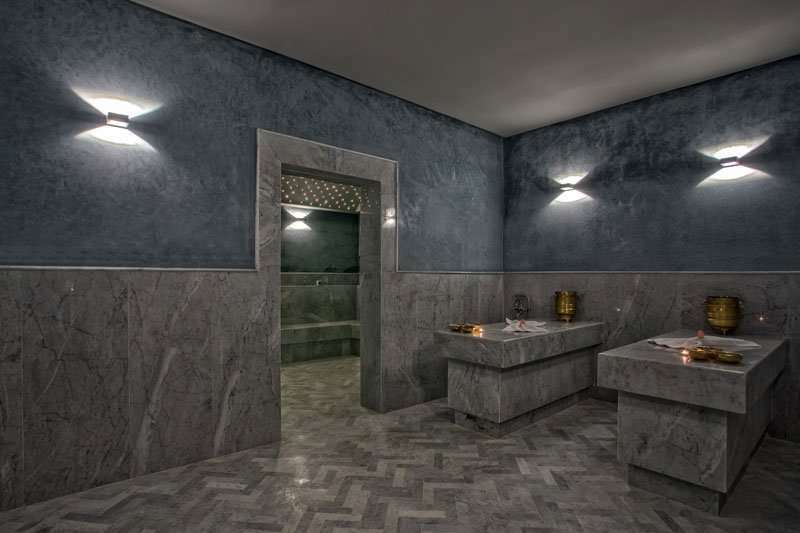 The stunning on-site spa (at a surchange) features an indoor pool, steam bath, Jacuzzi, sauna and an varied massage and treatment menu. 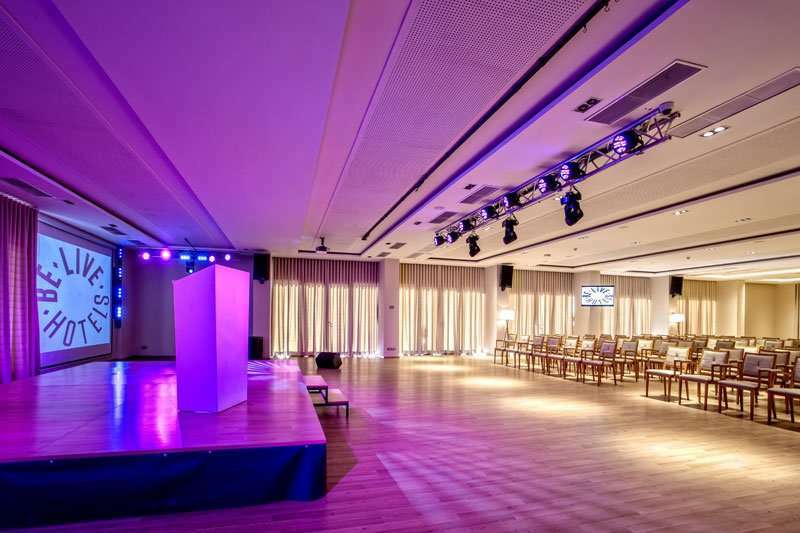 If that’s not enough the hotel has a great entertainment schedule to keep you occupied in the evening and non golfing days, including archery, snooker, football, tennis and so much more. 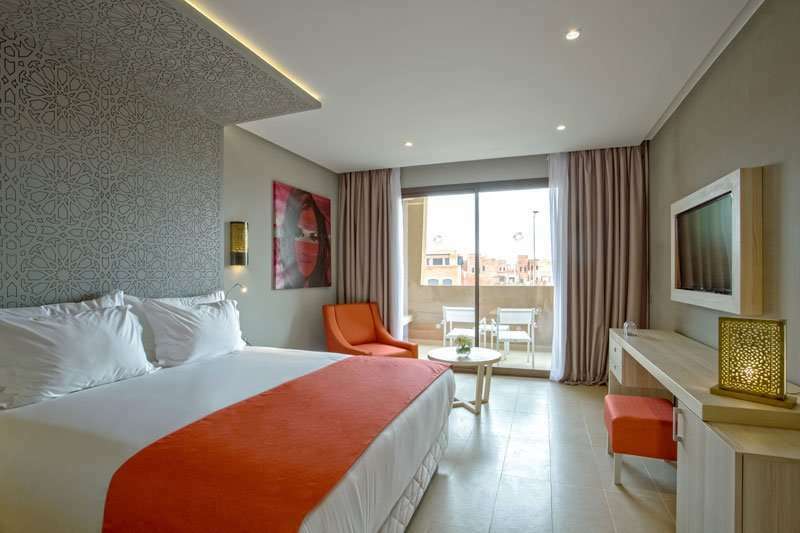 For the more adventurous Marrakech offers a vibrant nightlife, why not head out to the main square and indulge in the street theatre or grab yourself a bargain and explore the array Souks in the city. 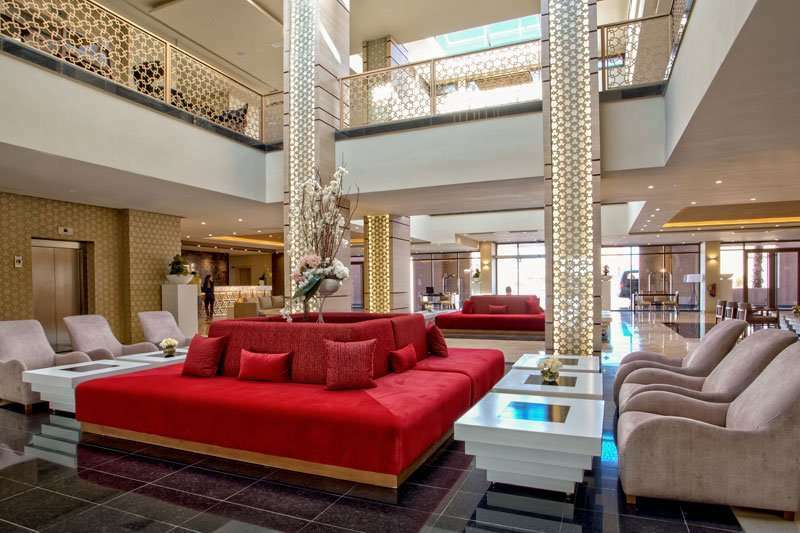 The centre of Marrakech is only 4 miles away from the resort and is well worth an exploration. 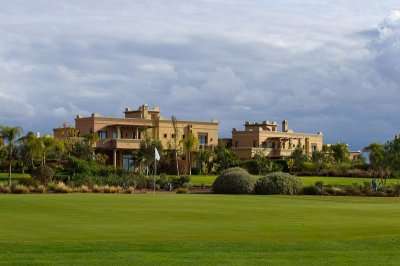 A number of golf courses in Marrakech are at your doorstep including the spectacular Royal Palm Golf & Country Club or even the Palm Golf Ourika, both offering a luxurious service and challenging round of golf. 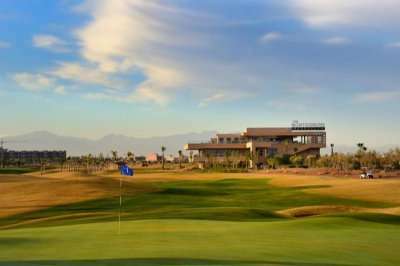 With a spectacular range of facilities and great location for golfers, the Be Live Collection Marrakech is the perfect option for your next Marrakech golf holiday.